Who is your target market? Do you have contacts that can give you access to capital? Do you have a space or a location to sell your product? These are the age old questions any new business has to answer before it can even start up. For the young student entrepreneur many of these answers point to the Wits University community and its campuses. It’s not hard to imagine: Wits’ large open spaces, its student and staff body of various demographic groupings, its experts and specialists to help grow a business with tools to equip an entrepreneur to conduct a business plan. 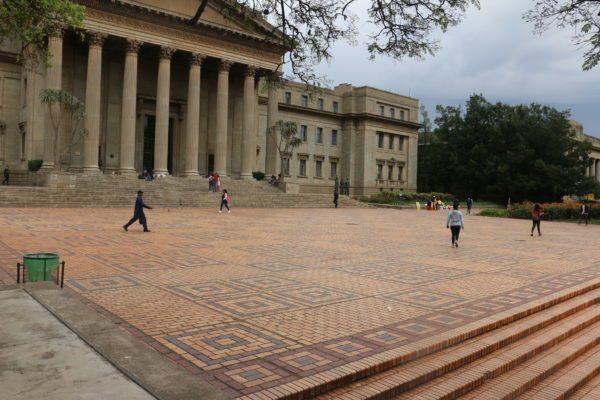 Wits could capitalise on this by encouraging a culture of entrepreneurship at the university that will inspire students to start their own businesses and strengthen the country’s economy. 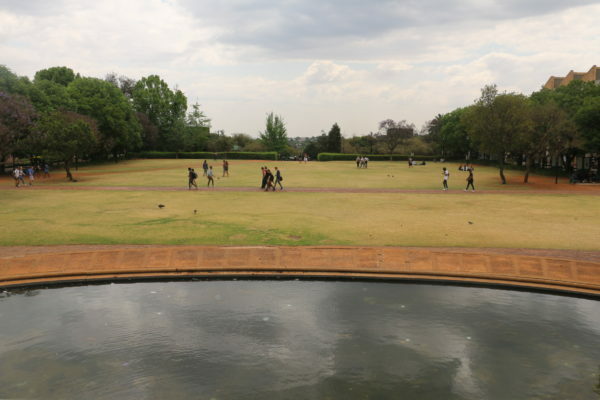 The lawns on Wits East Campus could house a Student Vendor Week. A 2017 survey by the Seed Academy showed that 57% of the South Africans who run their own businesses are youth, a staggering proportion of the entrepreneurial band of business in the country. The Wits student newspaper, Wits Vuvuzela has published a minimum of 5 entrepreneurship stories per year dating back to 2015 showing an appetite for entrepreneurship among the student population at the institution. Wits is responding to this need through a number of academic interventions. Wits Enterprise launched their Entrepreneurial Wayz (TEWZ) programme in July this year to bolster entrepreneurship at Wits University. TEWZ Chamene Chetty, told Wits Vuvuzela that Wits is at the forefront of academic research into creating a different mindset for future students to be more innovative in their thinking and to become solution-based. “The academic programme does not always support entrepreneurial development. We are trying to create an entrepreneurial mindset and change how entrepreneurship is viewed in schools in order to create an entrepreneurial university in the future,” said Chetty. “Our students need to go forth and add value in the world, we can’t do this with a silo mentality. Our systems are content driven and we need to look at our mandate and change it to incorporate our students,” she added. The Development and Leadership Unit (DLU) is also supporting entrepreneurial students. The DLU have created an area at their offices called the entrepreneurial office. This office houses individuals that can provide students with access to practical support and guidance for their initiatives. This space further benefits the ‘entrepreneurial university’ ideology envisioned by senior programme advisor at the DLU, Nicole Morris. “The students are able to consult with the consultant at the office who helps them with identifying business opportunities, creating development and growth strategies, market penetration and linking them with different financiers,” said Morris. The academic support for students is clearly there but some entrepreneurs say that it is in the facilitation of the practical application of these skills that Wits falls short. Wits students Ike-Lee Hill and Vahid Davids attempted to start a car wash at the university in 2016. They say that the institution was not helpful in their requests to launch their business. “We wanted to start a waterless car wash as the infrastructure for a proper water car wash was too expensive. We found a company to supply the products at a reasonable price,” said Davids. “When we approached the services department they told us that Wits would first send it to tender. They never followed up with us as they promised they would and the car wash at Wits never went to tender,” Hill said. Morris said that there are processes and policies that are in place at Wits that students need to adhere to before starting a business on campus. “We work closely with Wits services and the legal office to review the processes in which students can establish their businesses without violating the university policies,” she said. If students want to start a business on Wits campuses, there is the process of tendering that needs to be done. Wits puts the idea out for tender and various companies submit their proposal and Wits selects the company. Hill and Davids felt that Wits were not helpful in their endeavor to start their venture. “With our experience we found that Wits seemed unwilling to provide us with the correct information about the vendor process,” added Davids. Davids said that he felt that Wits is slowly sifting budding entrepreneurs out by creating a maze of departments that the students have to go through to start a business on campus, from Property and Infrastructure Management Division (PIMD) to the Services department and back to Wits Entrepreneurship. “We were basically given the run around, no one but the Student Representative Council (SRC) wanted to help us,” Davids added. In addition to academic support, the Wits Business School (WBS) hosted a competition called the Agis Holdings and Wits Business School Entrepreneurship Competition in 2017 for aspiring entrepreneurs to secure capital to launch their businesses. LaundryBae founder, Glen Mabunda a fourth year Mining engineering student, secured his capital through the Agis Holdings and Wits Business School Entrepreneurship Competition in 2017. This afforded Glen the resources to start his company, out of 84 entries, he scored first place and won R75 000. LaundryBae is a student run business that provides a laundry service to students and Braamfontein community members at a reasonable price. Davids believes that an annual vendor week would allow student entrepreneurs to showcase their products or services to the Wits community and grow their businesses. “The lawns would be a great place for Wits to use to expose student entrepreneurs with a student vendor week, it would assist aspiring entrepreneurs,” added Davids. Sizwe Bhengu, the marketing director at LaundryBae, said that Wits have the ability and the access to put students in contact with people in corporate or government that could elevate student companies. Bhengu, a Quantity Surveying honours student, said “Wits are definitely getting there, with events such as Entrepreneurship Week and Tshimologong helping students with tech start-up companies but there is definitely room for improvements. Wits have facilities that could be made more accessible to students for storage purposes for example,” said Bhengu.